The easiest and most robust solution to POODLE is to disable SSLv3 support on your server. This one requires some registry changes and a server reboot. Microsoft have a support article with the required information. All you need to do is modify/create a registry DWORD value. Сreate SSL 3.0 alongside it if needed. Under that create a Server key and inside there a DWORD value called Enabled with value 0. Once that's done reboot the server for the changes to take effect. The easiest and probably the most widespread method to test your server's SSL configuration is the Qualys SSL Test. Please follow the link above, enter the domain name of the site, hosted on the server you would like to check and hit submit to start testing. Once the test is finished, look at the Configuration section at server's supported protocols. The expected result is that you have no SSL protocols supported. Supporting TLSv1.0 or better is good enough to support the absolute vast majority of internet users without exposing them to unnecessary risk. It is also possible to protect yourself from POODLE by disabling SSLv3 support in your browser. 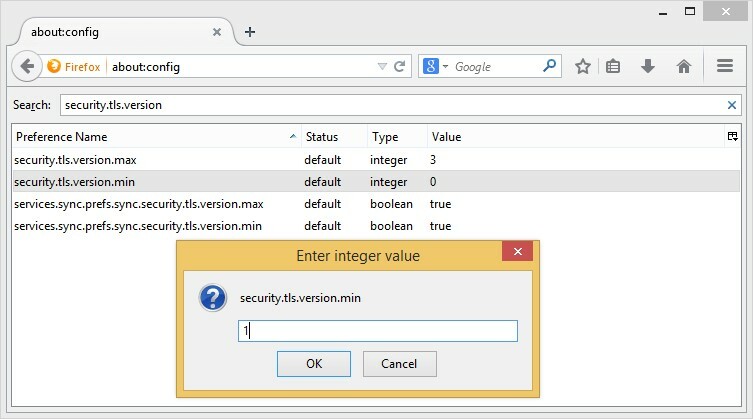 Firefox users can type about:config into their address bar and then security.tls.version.min into the search box. This will bring up the setting that needs to be changed from 0 to 1. Chrome users can add the command line flag --ssl-version-min=tls1 to enforce the use of TLS and prevent any connection using the SSL protocol. 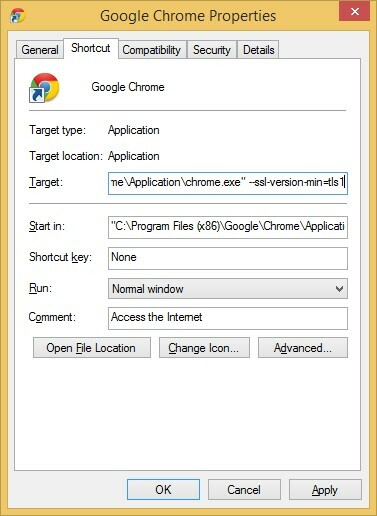 In Windows, right click on your Chrome shortcut, hit Properties and add the command line flag as seen in the image below. 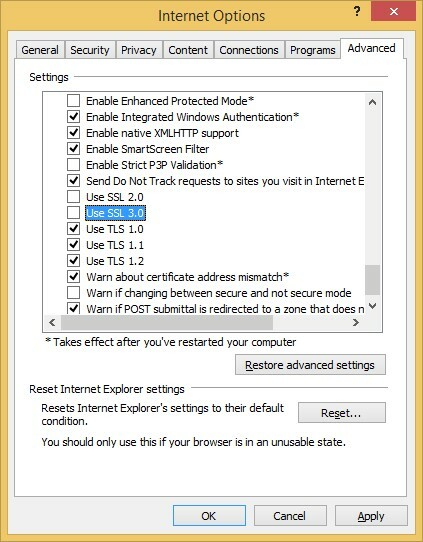 There's also the Qualys SSL Client Test to see what your browser supports. Information taken from the site https://scotthelme.co.uk/ and presented in a compressed form. VPS.us team is grateful to the author. Looking for a cheap XEN VPS? We offer VPS servers with different types of virtualization and management options in the USA and Netherlands at reasonable prices.